Pitch Hack of the Week: What is an Accelerator? What’s an accelerator? Is it for you? If you’ve been in the startup community, you’re in the startup space, you’ve gone to some events, you might have heard about accelerators or incubators. You might be wondering what are they and is it right for me. What is an accelerator? What happens in an accelerator? Why would I join one? There are a couple different reasons for that. And I’m going to talk a little bit about what is an accelerator, what is an incubator because they are a little bit different for the most part. And what you might get out of one, and how to think through whether or not an accelerator is right for you. What is an accelerator? It’s usually a program in which you can apply to become a participant of a cohort and receive something from that. Sometimes you give away. In accelerators you tend to give away equity. And in incubators they usually don’t take your equity. Not always the case, but that’s generally the difference between the two. And in accelerators and incubators both you get mentorship and advice and support to grow your company. And get to the next step or next steps of your company. You might even get support in getting funding, support in pitching and presenting to potential investors. Accelerators can be a really, really good resource for that first-time entrepreneur or early stage company to really make it to those next steps and those next stages. It can be a really challenging thing to do. And going through an accelerator program can sometimes short circuit some of your learning curve and get you a lot further along in your business than you would’ve been prior to that cohort or that session. Some really big accelerator programs are Y Combinator and Techstars. Y Combinator was really kind of one of the first accelerators. And they really launched this really large nationwide and international boom of accelerator programs. There’s a ton of accelerator programs from really big and well-known ones like Techstars and Y Combinator, to very small and localized, and specialized accelerators in your local area. There’s many, many different kinds of accelerators, so it’s really hard to say what you’re going to get of any one accelerator. To give you a little bit of an idea we’re going to go through a certain time period of either being physically in the place of the accelerator program, or some of them are remote but less so. And you’re going to go through a very intensive week by week for maybe three months or so on average to really fine tune your business and make progress on your MVP. And to meet mentors, and get advice, and fine tune your pitch, and move your company forward in these next pages. It can be very, very valuable for that. And usually because they’re giving a lot of expertise and help from mentors and volunteers and paid people as well, you give piece of your company. You give a little bit of equity to them. So accelerator programs give you an investment. And other ones don’t give you an investment outside of the actual help and support that they give you. That might be a consideration when looking at different accelerator programs, which one might be a better fit for you. Are you looking for funding, or are you looking for more specialized support. Some accelerator programs are very, very laser focused on one industry. And other accelerator programs are more broad. Y Combinator and Techstars both are relatively broad and big accelerators. They usually only accept 1% to 3% of the people that apply, so it can be really challenging to get into those. They’re very well-known and it’s often very prestigious to have been through one of their accelerator programs. To be Techstars 2018 can be a very positive thing for your company as you move forward. It can get you in the door in more conversations with investors and other types of stakeholders as well. So consider that when you’re looking at the different options as well. Techstars and Y Combinator are more broad and harder to get into. And then there’s more focused ones that are very specific on just tech startups, or just AI, or only IoT, or only medical device companies, or whatever it is. Looking at different accelerator programs for your industry can be helpful for you to figure out which one might be a good fit. Maybe those more specialized ones have more specialized support, and have more support than can be valuable for you in your particular space. If you’re doing a medical device startup there might be some pitfalls and things that a medical device-specific accelerator can help you get over better than maybe a more general accelerator. Another type of accelerator or incubator program is a corporate accelerator incubator program. What these are is instead of being a company or an organization like Techstars, Y Combinator, or one of these other ones, instead of being an organization it’s actually a company that is running it. So large corporation like an AT&T, Google, they have incubator programs and accelerator programs. An accelerator program at a corporation is usually one where they’re bringing in outside companies to come in and get expertise and support from their large corporation. Those can be really good fits if you’re looking to maybe be purchased by one of those organizations, or you think that your product is an especially good fit for a relationship with that large corporation. Disney for example has an incubator program that can be really good for companies who want to work with Disney, or have relationships with Disney or similar type companies. Other types of incubator programs within corporations are internal incubator programs. They may not be available for outside companies to apply. For example Google’s Area 120 is an internal incubator program. No other companies for at least at the moment can apply to that incubator program. It’s only internal companies. So Googlers who are working on an idea, they can pitch to Area 120 and potentially get accepted into this corporate incubator program. Lots of other big corporations have these kinds of programs or have been starting these kinds of programs lately. If you work in a corporation you can look for those ideas. And if you’re looking for alternative accelerator programs you can look at corporations to see if there’s some good programs that you can join there as well. They sometimes have unique value ads that they provide outside of what these generalists accelerator programs or individual accelerator programs have. Need a Pitch Deck for Your Accelerator Application? Hopefully that answers your question for what is an accelerator and is it for me. The “is it for me” part it’s unclear until you really look at the different kinds of accelerators and incubators you could apply to. And evaluate whether giving up equity for the support, advise, and potential funding you can get or, prestige from these various accelerator programs. It’s an individual decision, so really consider what that means to you and the value of that. And whether it’s worth giving a chunk of your business away for it. It can be really good option for companies, and can give a lot of support in ways that you could not get otherwise. Like or give us a thumbs up and you’ll find out about the next video. I would love to hear about your thoughts below on accelerator programs, if you’ve been through one and you want to give some advice or input on what you got out of it, or whether you would do it again. I would love to hear about it in the comments below. Thanks again for joining us.  I’m Stacie with Pitch Deck Fire, and I hope to see you guys here again soon.